If you have yet to make the transition from single use batteries to rechargeable batteries, here's a little insight to get you facing towards the right direction. Did you know that Americans use about three billion dry-cell batteries a year? And of those three billion, about 180,000 tons end up improperly discarded in our landfills, raising the high possibility of heavy metals and toxic substances polluting our water stream and air. If you're one of the few that does take the extra effort and recycles your used batteries, we thank you. But we still believe that we may be able to change your mind about using single-use batteries. Everyone likes to save money. 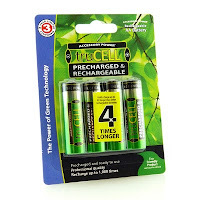 And luckily rechargeable batteries, especially truCELL Rechargeable AA Batteries, are specially designed to have an extended run time as well as recharge up to 1,000 times. What does this mean for you as a battery consumer? That's hundreds of AA batteries that you wont have to buy and replace every year. Single use batteries thrown into landfills can have serious effects on the environment, leaking heavy metals and toxic substances like nickel and cadmium into the air and water. By choosing to use and properly dispose of rechargeable batteries, consumers are reducing the number of single-use batteries and toxins the environment is exposed to. truCELL Rechargeable Batteries recognizes that the transition from single-use batteries to rechargeable batteries may be a difficult one to make. Accordingly, truCELL offers a variety of options each aiming to satisfy a different consumer category interest and make this transition a smooth and comfortable one. 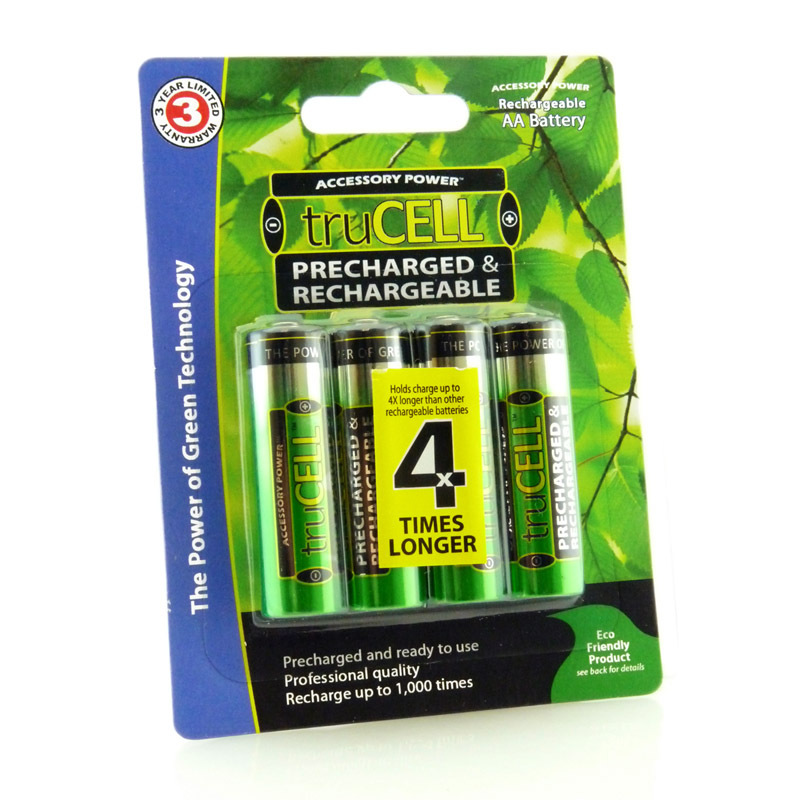 One option is the truCELL Precharged Rechargeable Batteries, which have the ready-to-use design of single-use alkaline batteries with the benefits of high-power NiMH cells. The 2200mAh minimum capacity of the batteries supplies long-lasting power to low-drain devices, including remote controls, clocks, flashlights, video games and more. 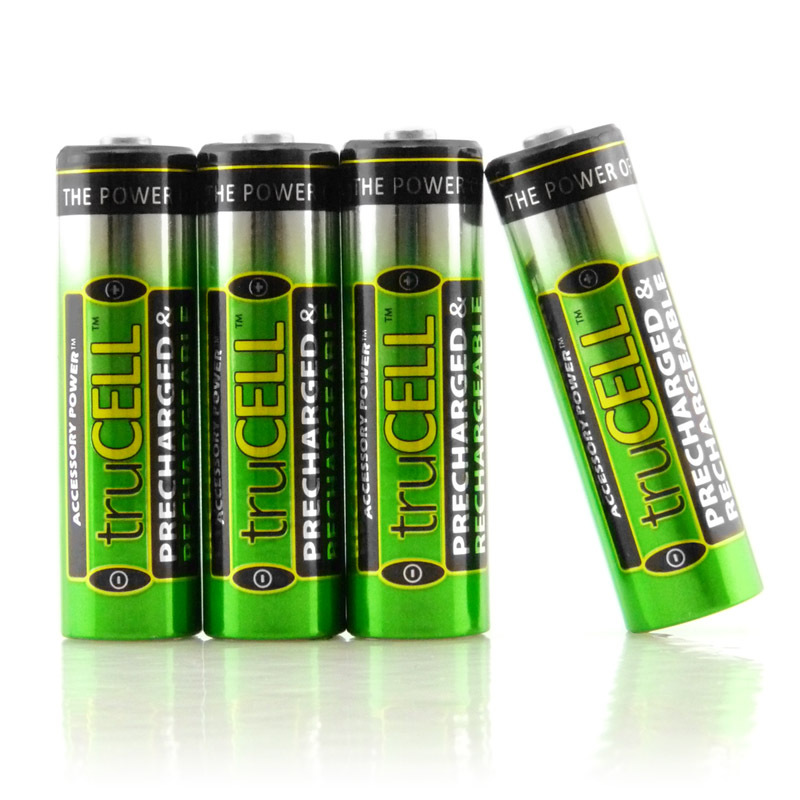 truCELL 2700 Series Rechargeable AA batteries are designed to power high-power electronic devices including digital cameras, portable music players, portable video game consoles, and other high-drain devices used by the everyday consumer. The truCELL 2900 Series Rechargeable AA batteries offer twice the power and a fifty percent longer life span than standard NiMH batteries and are designed to power the high-drain devices of professionals who depend on high-power energy.